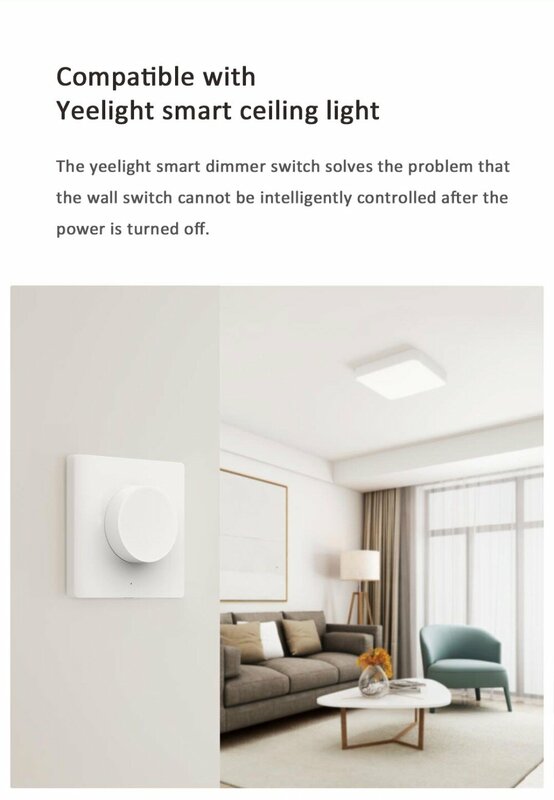 The Yeelight smart dimmer switch solves the problem that the wall switch cannot be intelligently controlled after the power is turned off. 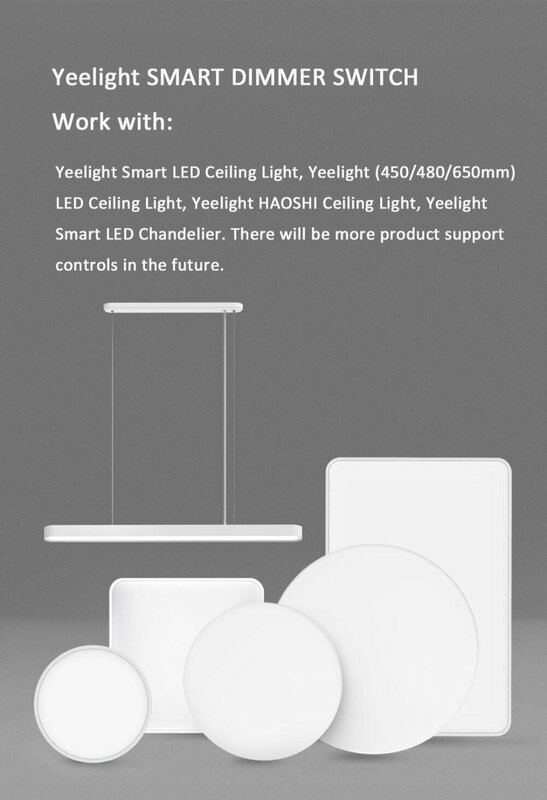 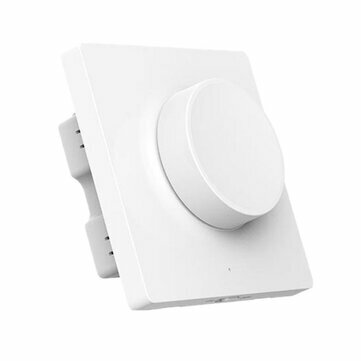 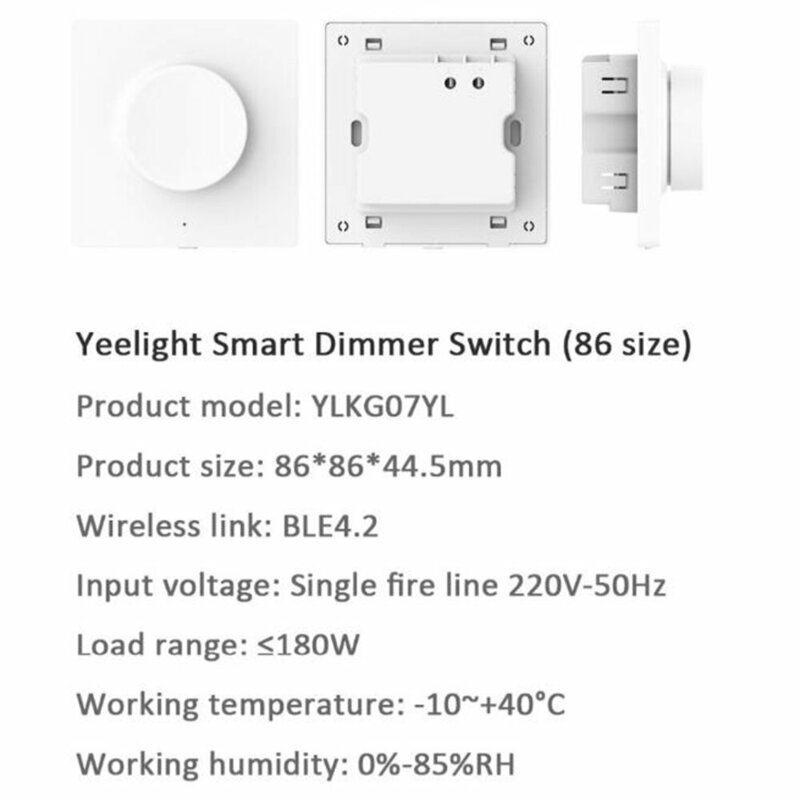 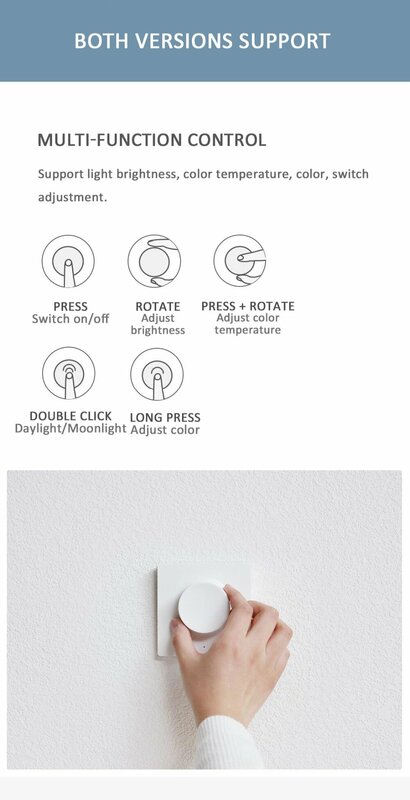 Yeelight smart dimmer switch, using bluetooth remote control technology, does not directly cut off the power supply, enabling the smart ceiling light to continue online. Voice & App real-time control. 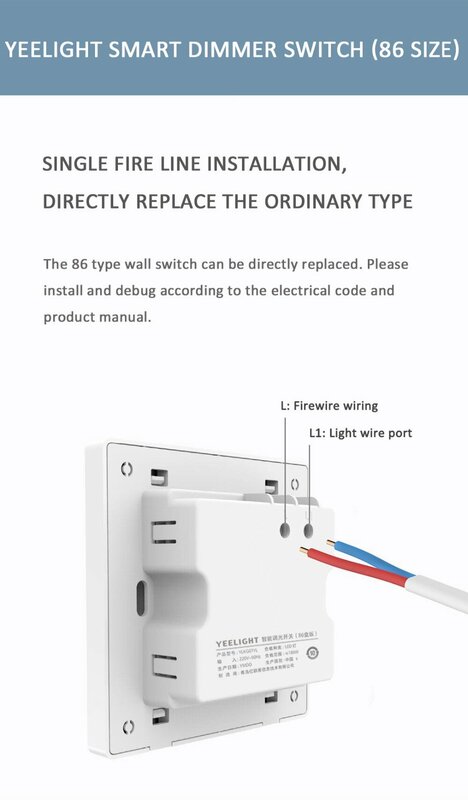 The 86 type wall switch can be directly replaced. 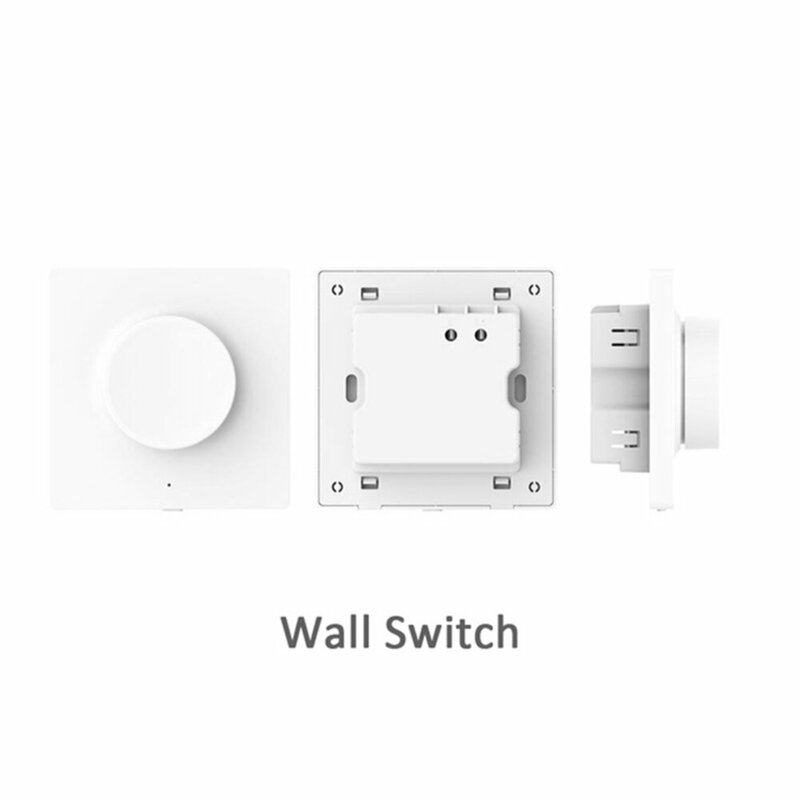 Please install and debug according to the electrical code and product manual. 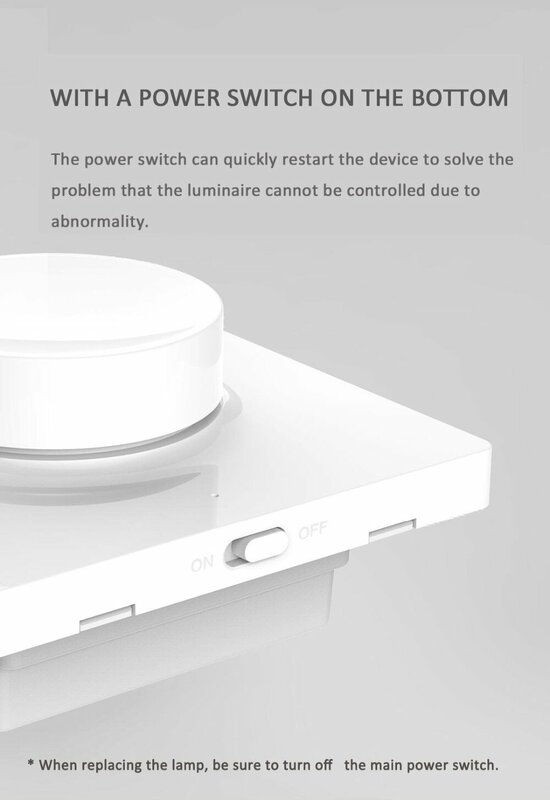 The power switch can quickly restart the device to solve the problem that the luminaire cannot be controlled due to abnormality.